In the first part of this series I covered how you can get a working instance of Nagios Core on a Ubuntu VMWare server within your environment. What I would like to cover in this part is how you can begin to perform some basic monitoring on a Windows Server within your infrastructure using the Nagios Core Server that you configured in Part 1. Log onto the Windows Server that you wish to manage. 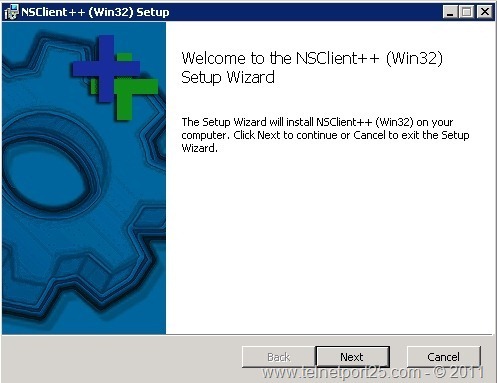 You will need to download the NSClient++ from the following location: http://nsclient.org/nscp/downloads – you will need to select the correct architecture which fits your client system (Win32 or x64) – and I recommend that you download the MSI file rather than the zip (mainly for simplicity and it is easier to build an automated deployment around). 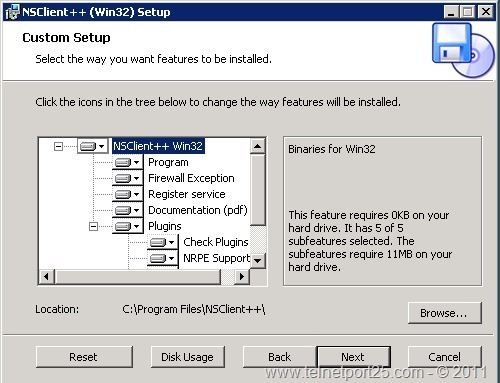 Next you will be asked to choose the components that you would like to install – these include the actual program binaries, configuring a Windows Firewall exception should you wish, registering the program to run as a service (recommended) and a number of functional plugins (which enable a number of checks on your system and the ability to communicate with a number of monitoring systems which support various listeners include Nagios). 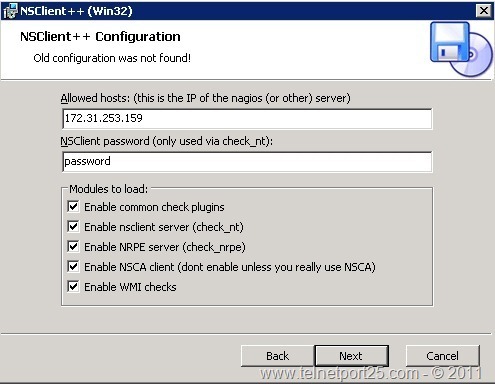 The next screen asks you to complete some information about you Nagios server (e.g under the “Allowed Hosts” section – within the IP address text box – you can provide a number of hosts that the agent can report to – in our case this will be the IP address of your Nagios Server). Now this is where things get a more little involved as in order to setup the Windows monitoring configuration we need to make a few changes to some of the Nagios configurations files which are located on the Ubuntu server that we created in part 1. Firstly I recommend that you setup sFTP to connect to the Linux file system on your Nagios Server (remember the OpenSSH server that we installed in part 1?). 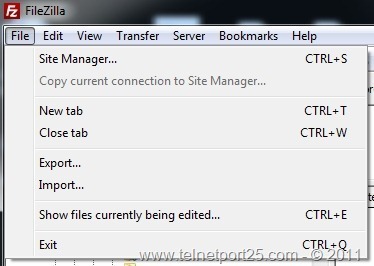 In order to do this, you need an FTP client that supports sFTP connections – you may already have a weapon of choice in this area – but if you don’t, I personally recommend Filezilla (as it is free and also what I have been using for a number of years – therefore this article will focus on using Filezilla from this point onwards – so you might need to substitute some steps to reflect your own client). Secondly, as we will be editing the Nagios Configuration files within a Windows environment (don’t laugh Linux peeps)– you will need a text editor that supports both the Unix and ANSI formats – one suggestion that I have is Notepad++ which, again I have been using for a number of years and is pretty cool. Within the Site Manager click on the “New Site” button and then on the “General” tab complete the required information as per your configuration – you should ensure that the “Protocol” option is set to “SFTP – SSH File Transfer Protocol”. 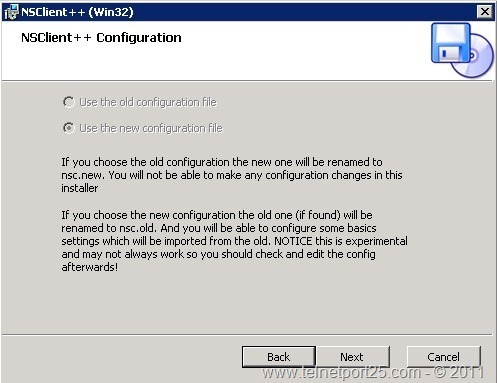 Before you connect to your Ubuntu server I recommend that on your local Windows machine you create a folder called “Nagios_Configuration_Files” – this will naturally be used to store local copies of the Nagios configuration settings – which you can edit locally using Notepad++ and then upload them back to your server. 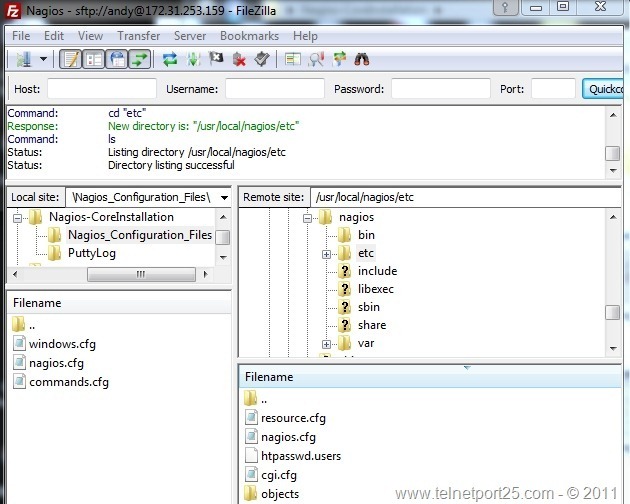 This is the main configuration file for the Nagios server – there is only one change that needs to be made within this file, and once that has been made it is recommended that you make no further modifications (unless of course you have been doing some reading up on the product and want to do something fancy). This tells Nagios that we will be monitoring Windows hosts, and therefore the “windows.cfg” and services files should be queried. When you have done the above, save the file in Notepad++ and then via Filezilla upload the file back to the /usr/local/nagios/etc directory. This configuration file tells Nagios what monitoring commands it should expect to have executed against it. 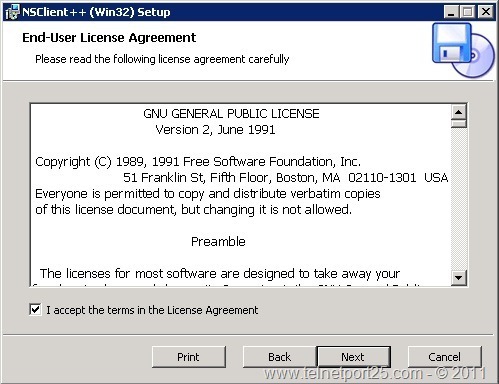 Again this file should only be edited when required and there is only one change required within the file for the initial setup. When you have made the changes to the file, save them in Notepad++ and then using Filezilla upload them back to the /usr/local/nagios/etc/objects to your Nagios Server. 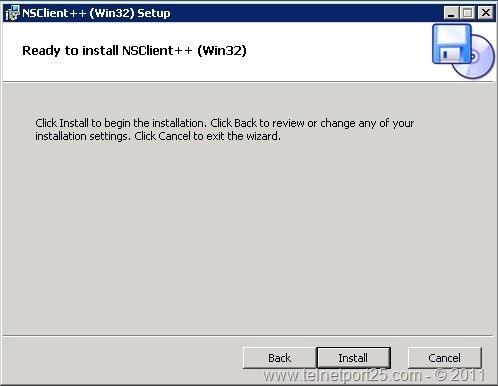 It is within this configuration file that you will define all of your Windows hosts and the Services that you wish to monitor. As before download this file to your local “Nagios_Configuration_Files” directory. When you are happy with the file, save it within Notepad++ and then upload it to your Nagios Server (ensure that the directory is /usr/local/nagios/etc/objects). To accompany this series I have provided my own Nagios configuration files direct from my lab environment for download below. Please remember that these are specific to my own installation and should only be used for reference (should you get stuck) – these are also based upon the default file set that is provided by Nagios – and therefore the intellectual rights belong to the developers of Nagios. In the next part of this series I will show you how you can use Nagios to monitor your Exchange Servers. If you should have any questions about this article please post them in the comments section and I will get back to you. I need some help i cant see to upload files it keeps telling me i don’t have the correct permission. Hiya Kitson, are you using the root account within Filezilla?